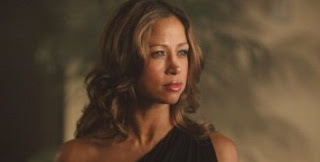 The Spotlight by Brittany Shawnté: Stacey Dash Is Leaving Single Ladies! After much speculation, it is official. Stacey Dash is officially leaving VH1's scripted series, Single Ladies. She made an exclusive statement to Global Grind this afternoon. "I truly enjoyed playing Val on 'Single Ladies', but I have decided to leave the show," Stacey said. "I have to be back in L.A. with my children right now and the Single Ladies shooting location makes that impossible. I wish VH1 the best of luck with the show and in maintaining the strong fan base we developed in season one." I literally screamed "NOOOOOO!!!" at this news just now. Honestly, out of everyone's storyline on the show, Val's was the one that I was most intrigued by. And now, I feel like the show will just be completely off, especially if they scrap Val completely. What's going to happen with the shop, where three of the characters, Keisha, Omar, and intern Christina works? Is VH1 going to have someone step into her role? AND does Stacey really have family issues to take care of, or is her leaving really based on issues she had with Lisa Raye on the set? It just leaves a lot of unanswered questions. We'll see what happens next season. I'm just extremely disappointed with the end result. But, hey, that's the business. Wishing Stacey and her family the best, as well as the cast and crew as they adapt to this change.